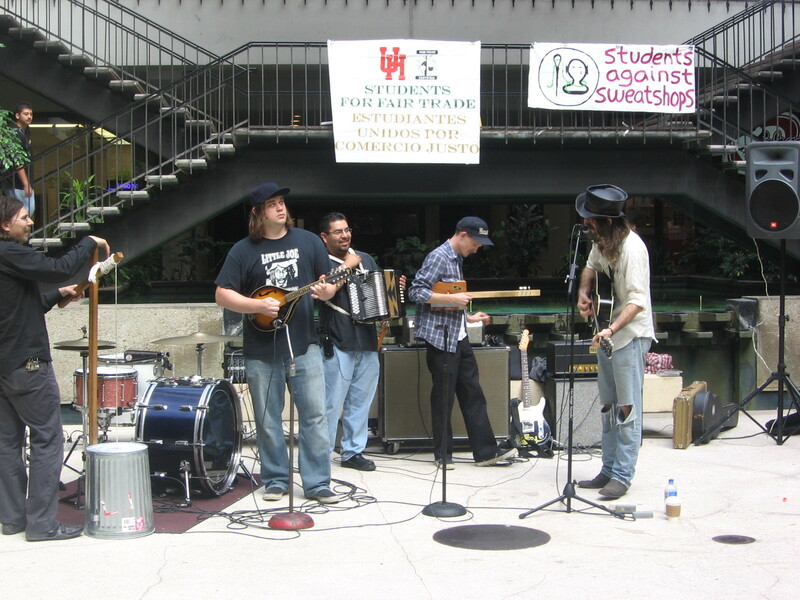 Students for Fair Trade had a conscious raising concert in the UC Arbor today (Tuesday October 16) . 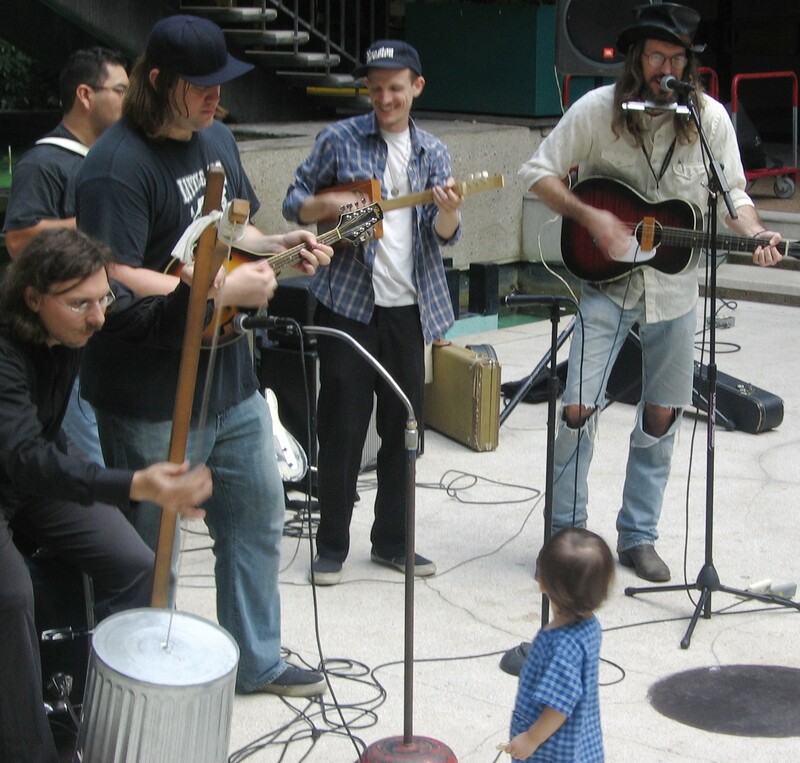 Giant Princess played first followed by the Sideshow Tramps. The youngest member of the Students Against Sweatshops, Yuna O’Brien clapped her hands in approval for both bands. Click on the Sideshow Tramps links and thumbnail picture to see full size images. This entry was posted in fair trade, meetings / events. Bookmark the permalink.